The heated debate over light rail in Leeds has been reignited after local politicians criticised the city council for giving up and allocating £270m to other transport projects. Years of wrangling over a potential mass transit system for the city have not prevented local leaders from calling for the issue to be revisted, even though the latest potential project, the trolley bus or Leeds New Generation Transport (NGT), was rejected by government earlier this year. The Government's rejection left Leeds with around £173m allocated central government cash to spend. The council’s recently announced plans include spending up to £270m on other projects, including a new rail station for Leeds Bradford airport and investing £180m on bus services. 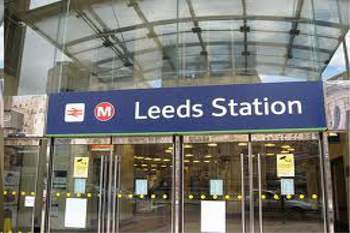 Alec Shelbrooke, MP for Elmet & Rothwell, said: 'Councillors running the City (therefore) had an opportunity to use this money as a mechanism to attract further investment and finally get an integrated transport system for Leeds’ city centre and the outlying areas. 'Light rail or tram/train would provide a solution to the city’s transport congestion, whilst bringing Leeds up to speed with all other major cities in Europe. Instead, a lack of vision from councillors has resulted in a half-baked plan that fails to exploit the £173m government investment in Leeds”. Experts at a recent light rail summit put forward various different options, which they said were more affordable thanks to advances in technology. One expert at the event put forward several options for a 15-30km starter line in the city costing £250m-£300m. Launching its transport strategy last week, Leeds City Council said it would continue to consider options for a mass transit scheme, but this would ‘require significant additional investment and would not be deliverable by 2021’. Preston-based TramPower, which has been given planning permission to construct a trial tramline in the town, said technological advances meant that a tram system could be delivered at a much lower cost than the Leeds Supertram scheme cancelled in 2005. Roger Harrison, former chairman of the Nottingham Tramlink consortium, said that traffic congestion in Leeds is predicted to more than double in the next 30 years and passenger numbers at the railway station could reach similar levels to Gatwick Airport, with a level of footfall far greater than can be served by a bus and taxi-only network. He said an integrated light rail solution would be a far better investment than more buses.